The Inclusive Class: Learning Disability or Learning Difference? “Cerebrodiversity”, a term coined by Dr. Gordon F. Sherman, is essentially the individual differences in brain structure and its ability to process information. 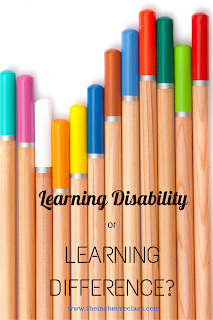 Some of these differences can result in what society perceives to be learning disabilities, one of which is dyslexia. Typically viewed as a negative trait by today’s traditional school models, students with dyslexia struggle to read, write and spell with often insufficient intervention. This can result in the student developing a low self-esteem and related physiological issues. These differences in our brains become a burden, as children are reminded everyday that they cannot do what others can. However, if we are to examine Dr. Sherman’s work, we would begin to see “cebrodiversity as a vehicle for expanding thinking and discussion about dyslexia beyond the ‘disability model’ and as a step toward a more comprehensive model of brain and learning variation’” (Sherman & Cowen, 2003). Teachers, schools and communities would then approach learning disabilities as the “glass is half full”, rather than “half empty”. This would no doubt, revolutionize the way schools are structured, curriculum is developed and students learn. And, more importantly, students will see value in their differences and others. I’m certain, that if we take “can-do” approach with our students, we will see many positive results. By understanding that the differences in our brain structures can be a benefit, we can begin to structure our education system so that all students can learn. Sherman, Gordon F., and Carolyn D. Cowen. "Dyslexia with 2020 Vision: Where Will We Be in the Next 10 Years?" Perspectives on Language and Literacy Winter (2010): 9-11. Print. I love this article. I live in India and we are so far away from an inclusive school curriculum but we are also really faraway from diagnosing all the kids. So some kids are forced through schools and come out of it their spirits beaten in all probability but I marvel at the resilience of the the few students I work with to emerge through a discriminatory school system and pursue their passions. Thank you for your feedback! I appreciate hearing how inclusion is working in other countries around the world and even though it may not be yet practiced, it is people like yourself who will eventually change that.